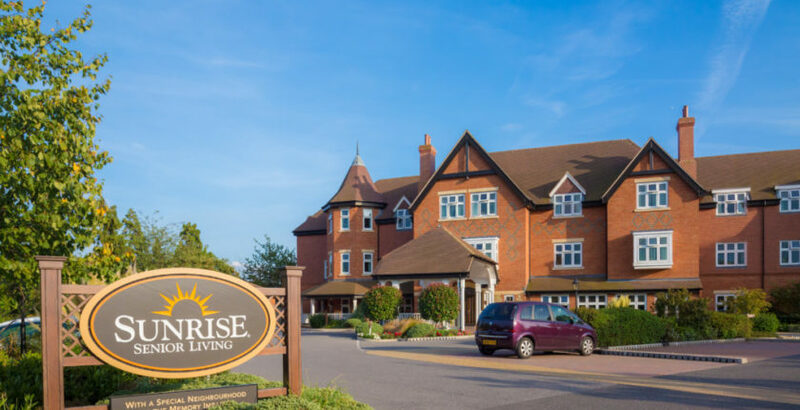 Staff and residents are celebrating after Sunrise Senior Living’s Sunrise of Sonning nursing home in Reading was rated Outstanding by the CQC. The home, which provides nursing and personal care for up to 103 people, joins the 2% of care homes rated Outstanding by the CQC. Carmela Magbitang, General Manager at Sunrise of Sonning, said: “This is a fantastic achievement for the whole team here at Sunrise of Sonning. It is testament to the pride our team members take in the care we provide, and the dedication they show to the residents that live here. Inspectors noted that team members regularly “go the ‘extra mile’ when supporting people” and that they were “motivated to provide care with kindness and consideration”. They said team members had good relationships with residents and their relatives and that “people and their families felt they mattered to the whole staff team”. The high quality, person-centred care and strong leadership received particular praise with the CQC noting: “The management team placed a great importance on ensuring everybody was treated as an individual and giving them person-centred care.” The atmosphere was also found to be one of “enthusiasm, laughter and friendliness”. The commitment of team members to offering residents a variety of opportunities was also commended with the CQC commenting: “The team were constantly researching creative and innovative ways to ensure people lived their lives to the full. Joanne Balmer, Senior Director of Care and Quality for Sunrise Senior Living UK, said: “Our team works exceptionally hard to deliver high quality person-centred care which emphasises quality of life for every individual. To see the full CQC report, please visit: http://www.cqc.org.uk/location/1-3873974825.